Concerns that large numbers of lenders would exit the market have not borne out. Since implementing our Ability-to-Repay rule, we are seeing some very encouraging signs. Contrary to what some had feared, there’s no evidence based on the HMDA data that large numbers of lenders are leaving the market. While 1.8% fewer lenders reported HMDA data in 2014, this reflects a trend of continued consolidation in the industry, with a little less than 2.8% of the HMDA reporters in 2013 merging into other companies by the end of 2014. After accounting for consolidations, the number of lenders that reported making mortgages actually increased in 2014, including the number of community banks and credit unions. 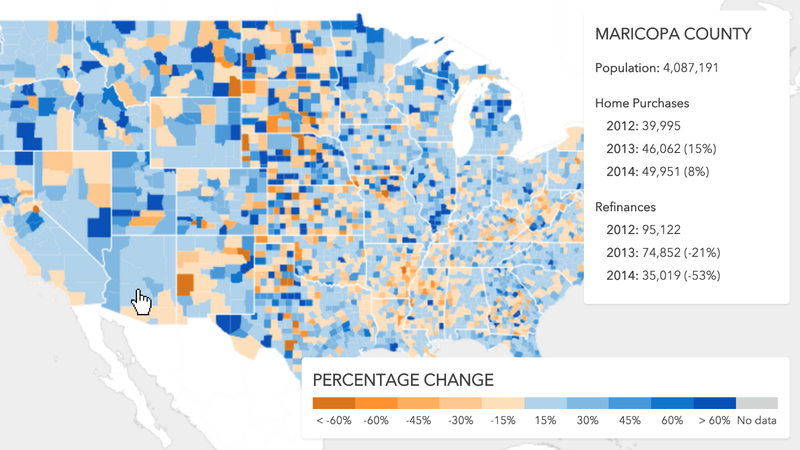 You can check out more trends from this year’s HMDA data in the Federal Reserve Board’s annual article , look for your state or county using our online maps and charts, or explore the data yourself using the CFPB’s online HMDA data tools or the FFIEC’s website .